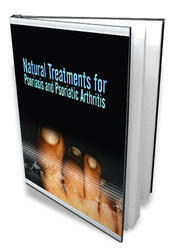 • More than 90% of men and women will have at least one headache each year. • If there is a history typical of a particular primary headache with a normal examination, neuroimaging and electroencephalography are not necessary. • Prophylactic treatment of migraine headaches is recommended when they occur with increasing frequency and there appears to be a potential overuse of acute therapies. • Giant cell or temporal arteritis is a serious headache to consider in older adults and can be associated with blindness. Headache associated with mental status changes Headache associated with papilledema Headache with exertion, sexual activity, coughing, or sneezing The physical examination of a patient first presenting for evaluation of headache should include vital signs, cardiac examination, cervical spine examination, including nuchal rigidity, and ophthalmologic examination, including the optic fundi, pupils, and visual fields. The neurologic examination should include an assessment of cognitive function, motor function, reflexes, plantar response, cranial nerves, coordination, and gait. If there is a history typical of a particular primary headache with a normal examination, neuroimaging and electroen-cephalography (EEG) are not necessary. A lumbar puncture, after neuroimaging, is recommended only if there is suspicion of subarachnoid hemorrhage, infection, or idiopathic intracranial hypertension (pseudotumor cerebri). Routine EEG is not indicated but may be useful in evaluating patients with associated mental status or consciousness changes, a history of head injury, or a history of syncope.